For nine straight working days in December, ‘Fisayo Soyombo, editor of TheCable, disguised his appearance – first as a hungry, hapless job seeker; later as a trainee clearing agent; and finally as an intending importer of cars, computers and Italian suits and shoes – to penetrate into the importing and clearing ring at the Nigeria Customs Service (NCS). Presented in this comprehensive reporter’s diary, his findings reveal series of sharp practices involving men of the service, other border and security agencies, the clearing agents, and banks – leading to massive short-changing of government revenue. They also underline the scale of work required to purify an agency that is arguably the armpit of corruption in the most populous black nation. It is easier for a camel to pass through the eye of a needle than it is for a rich man to enter the Kingdom of God. Sourced from two different chapters and verses (Mark 10:25 and Matthew 19:24) in the Christians’ holy book, the Bible, this quotation is one of the most popular pastoral tools for summarizing the vanity of wealth – and life. But nothing better captures the secrecy shrouding business activities at the NCS than a parody of this saying: it is easier for a camel to pass through the eye of a needle than it is for anyone to enter into the Apapa premises of the Nigerian Ports Authority (NPA). Before setting out for Apapa, which houses the largest and busiest seaport in Nigeria, and is one of the most horrendous traffic-gridlock zones in the densely-populated city of Lagos, I had been warned by everyone who knew something about the ports that I would be unable to enter. Still, on Monday, December 14, 2015, I arrived Apapa in the company of my one-day guide who knew the area so well, and graciously offered to help with navigating opening-day impediments. Much of the first day’s work was to revolve round securing temporary accommodation in Apapa pending the conclusion of the assignment – this didn’t happen, by the way – and general surveying operations around the port. After the failed attempt to secure accommodation, my guide and I proceeded to the Apapa ports, where we were to study the inflow and outflow of articulated vehicles, the conduct of uniformed men, the transactional conversations of clearing agents and the touting drive of document forgers. In three hours, we were done with the last three, and it was time to move closer to the port entrance to get a closer picture of business. Although we had been informed that this was a period of low business, we counted the entry of at least five articulated vehicles in a minute, translating to an estimated average of 300 vehicles in an hour! We were standing some 50metres off the gate and had barely been there for five minutes when a policeman walked westward towards our direction. “Yes, what are you doing here?” he says in a brusque, brisk tone. “What exactly do you want”? “We’re waiting for a phone call, sir,” I reply. Our work was over for the day, apparently; but as we retreated, I looked out for the badge on his uniform. Odion Ohiro, it read. I returned the following day – Tuesday, December 15, 2015 – as a jobless, poverty-stricken undergraduate seeking apprenticeship with a clearing agent. Clad in a scruffy shirt, faded jeans and a run-down pair of sandals to match, I arrived Nnewi Building (dominated by agents) at exactly 6:17am, settled into an irregular pavement just in front of First City Monumental Bank, and brought out the December edition of Azubuike Ishiekwene’s magazine, The Interview, which I not only read but also used to shield my face as I tracked agents, who soon began to arrive. For more than five hours, I observed the influx of people – some entering empty-handed and exiting with sheets of printed paper, others coming in with a few sheets and leaving with stashes of documents. This is the ‘Oluwole’ of Apapa – Oluwole being the notorious Lagos Island location where there is hardly a document that cannot be forged, from the University of Ibadan’s transcript to the University of Toronto’s certificate. A little after midday, I climbed the first floor of the main building, also housing a FirstBank branch, and entered into a shack-size office. I was welcomed by the inquisitive, how-may-we-help-you-look of a middle-aged man and a young lady, whose demeanour immediately gave out as boss and apprentice, respectively. It was difficult for anyone to disbelieve me. I had deliberately left my hair overgrown and uncombed, and my beards unshaved; it was past noon and I had neither had a bath nor a meal. Jude ran a quick, furtive glance over me and must have concluded that I looked markedly hungry and shabby, and I truly needed a job. “What is your name?” he asks softly, his voice rich in sympathy. Jude explained that even the option of operating a photocopying machine would not be available until the turn of the year. He then motioned his subordinate to fetch a piece of paper, on which he scribbled: 08068199143. Those harmless words pierced my heart like a dagger. Although everything about me up to that point was fabricated, it was the first time I radiated a genuine emotion. I was truly sad. As I exited Jude’s office and descended the stairs of the first structure in Nnewi Building, I knew that my first strategy for experiencing, firsthand, corruption at Customs had just been scuppered. It was a sad, lonely, dreary trip home. I tossed from end to end in my sleep that night, and woke up on Wednesday grabbing my phone and making frantic calls to contacts who could link me with agents or Customs officers, as a jobless youth willing to work with them as an apprentice. Within two hours, I had a list of three Customs officers and five clearing agents. But by 6pm, all eight of them had turned down my request. By 9pm when the telephone number of one more agent came in, my personality had evolved. I had then become the in-country representative of a friend who would start importing from January 2016. My friend had the capital but both of us were greenhorns. All I needed was to convince him that I had learnt the workings of importing and clearing, and he would release the funds. I assured my listener that the agent who agreed to teach me the rudiments of the trade would certainly be the one to supervise the clearing. The phone almost dropped from my hand, in disbelief. That was followed by a few minutes of soliloquy: For two days I had failed to secure a meeting with an agent or a Customs officer, but here I am getting one within three minutes of presenting myself as a rookie agent. What if I was the importer myself? I would see almost anyone I wanted! When I neared the premises of NPA the next day – Thursday, December 17 – I went straight for Odion Ohiro, that same police officer who literally chased me away only three days earlier. There was no way he could have recognised me; this time, I was spick and span, donning a brown Gilardino Rossi suit on a pink TM Lewin shirt and a pair of Giorgio Armani ankle shoes. “Good morning, officer,” I say, stretching out my right hand to him. He certainly didn’t know it, but he was directing me to enter a premises that if he found me inside only days ago, he would have arrested me. Normally, no one enters the NPA gate without a pass. But all three security officers on duty that day were perhaps too deceived by my looks to demand for my pass, so I strolled in, even to my own surprise. Into the premises, a cabin by the first turning on the left, manned by menacing, mufti-wearing Customs officers, represented a second checking point. I had been warned that anyone found at this point would either pay a bribe of N5,000 or be bundled into a cell within the premises. But I not only scaled this point, I sat among the officers for almost an hour, again reading The Interview while eavesdropping on their conversations, which centred on missing containers and court trials of the suspects. When I didn’t find any investigative use of their aimless talk, I left them and embarked on a ramble through the premises. After walking for more than 20 minutes, I stumbled on a building marked: Customs Office. Without wasting time, I entered. As usual, I found a corner and sat down for about an hour, keeping my mouth firmly shut but my eyes and ears widely open. Eventually, I walked up to the Customs officer seated nearest to the door, and I told him the same story: I was leaving Nigeria in a week; I would be importing cars, computers, and Italian shoes from January 2016; I needed an officer I could be dealing with on a personal level, to facilitate quick clearance of my goods and at the cheapest possible cost. I spilled those words out in deliberately pompous foreign accent, one I hoped would convince him that I was rich enough to deserve his time. A smile soon lit up his face; and the officer – dark, well-built, soft-spoken and a native of Kogi state – asked a few questions before dropping his telephone number and email address. Just as I was taking down his contact details, a light-skinned, tall, plump senior officer swaggered past us. “Good morning, sir!” my officer-friend saluted, before turning to me: “See that man? He is the deputy comptroller-general in charge of cars here in Lagos. It was the first real proof of the bribery and corruption accompanying the business of importation in Nigeria. But the officer’s N15-N20 analogy made little sense to me – until a few minutes later when a clearing agent filled me in. Although I deliberately ignored him, I spotted Ibrahim the moment I entered ‘Customs Office’ and I knew there was no way I was leaving without speaking with him. During my one-hour observatory period, I sat on the row of chair directly behind his. Although he seemed to have perfected the art of speaking in hushed tones, I managed to glean two very important details about him: One, he was trying to clear some goods, and he thought the Customs officer handling the clearing was foot-dragging just because the officer wanted to be bribed; two, Yuletide was approaching and he was cash-strapped, yet business was slow. Ibrahim won’t turn down a stranger with the prospect of contracting him for clearing, I reasoned. Over the next quarter-hour, Ibrahim would give me a blow-by-blow explanation of the processes for importing goods into the country, from the filling of Form M on www.trade.gov.ng, to the generation of Proforma Invoice (PI) and Bill of lading (not Bin Laden), to the berthing of ships and final clearance by Customs. At the end of it all, I asked him a question: How best can I clear my goods in a way that is both cheap and fast? “You will have no problems clearing your goods if you cooperate with the officers. But if you want to be forming protocol, it will be complicated,” he says. “It is better to cooperate, because instead of paying full Custom charges to the government, you can pay just one-third to Custom officials, and your goods will be cleared. Everything is expensive around the port, even a plate of rice. In the afternoon of Friday, December 18, I was quietly having brunch at a restaurant inside Nnewi building – the one adjacent to First City Monumental Bank (FCMB) – when someone joined me uninvited. It was a face I instantly recalled to have seen before. I was going to buy a pen the previous day from a woman selling odds and ends by the ‘Customs Office’ entrance, and I protested when she told me it would cost N30. Who in Lagos sold the ‘everyone’s’ pen for anything more than N20! So it was a shock to find Samson, that same bystander, seated opposite me the following day under the same circumstance. This time, I had bought a plate of rice and fish, and I was surprised that the server demanded for N500 when, in my estimation, it should have cost no more than N300. The server and I were still haggling over the price when Samson invited himself to sit opposite me, cutting in to explain that things were naturally expensive at the ports due to the huge flow of cash. “Looks like you’re a stranger here?” he says in a nondescript tone that is neither interrogative nor sentential. Finally, someone has found me out. It wasn’t much of a bad news, though. I have been struggling to get the attention of other people since Monday. So, if someone looks intent on having mine, why not! It was a compliment he was quick to accept, and he soon told me how he had come of age as a clearing agent over the last few years. For the next 30 minutes or thereabouts, he would talk about a series of artificial bottlenecks devised by Customs officials to exploit the average importer. The landing cost of the machine, excluding the agency and clearing fees, was $25,000. Now, the duty on an industrial-use machine that cannot be fabricated in-country, such as this, is 5 per cent of the landing cost. But once the machine arrived, Customs officials claimed it was undervalued by the importer and it should have cost no less than $54,000. By doubling the landing cost, they were compelling the importer to either pay twice the original fee to the government or pay them a smaller bribe. “The moment the ship bearing your goods berths, the shipping line immediately sends you a mail that you must clear your goods within three days. They expect you to clear within three days; meanwhile, it will typically take four to seven days for your container to be moved from the ship to the block stacking, where all containers are first kept,” Samson explains slowly, pinstakingly. The consequence is that as early as the fourth day, importers are already being charged for demurrage. On a 20-feet container, the importer pays N7,000 daily from the fourth day, while it’s N11,000 daily for a 40-feet container. Samson considers this practice a “very devilish ploy to exploit Nigerians”. As Samson explained, the NCS classifies incoming goods into four: green, blue, yellow and red. Green means the goods are well-trusted and therefore require no examination. But goods imported from suspicious countries, such as Indonesia where drug peddling is high, are classified as ‘red’ and requiring physical examination. So the importer not only pays Customs for physically examining the goods, but also the shipping agency for demurrage while awaiting the date of examination. “Customs may tell you that your container is on red alert and that your physical examination will not take place until another three days, because there are thousands of containers to be examined. “You will need to pay Customs to come and open your container and examine; they have somehow legitimized this corruption. In my own case, the total payment was N60,000, while we paid N24,000 for the physical examination itself. Meanwhile, shipping lines do not charge you day by day; they charge you upfront, minimum of four days. So, what happens when the container has been opened? Representatives of all agencies go in to check, and each of them collects N1,000 “just for looking”. During the inspection of the block-making machine, “representatives of seven agencies” collected the money, according to Samson. These are Nigeria Police Force (NPF), Nigeria Customs Service (NCS), State Security Service (SSS), National Agency for Food Drugs Administration and Control (NAFDAC), Nigerian Ports Authority (NPA), National Drug Law Enforcement Agency (NDLEA), and Nigeria Agricultural Quarantine Services (NAQS). Of course any act of corruption should worry any patriotic Nigerian. But in this case, it is not just the N1,000 but the sheer scale of the sum total of the individual collections. On this day alone, Samson witnessed the inspection of “more than 1,000” containers. By that calculation, each agency went home with an illegal collection of at least N1million. And it’s hard for importers not to pay the bribe, because failing to pay these officers means that they won’t inspect on the day, which in turn means the importer’s container is moved to another location. When this happens, the importer not only pays a fresh inspection fee, he also has incurred more demurrage charge. Aside bribery, there is the danger of a porous system that allows for the illegal importation of arms or other contraband, because once these field officers are paid, they do not inspect; “they just look and tick the papers”. After this “looking”, photocopies of the ticked Proforma Invoice (PI) and the Bill of Lading are taken to the offices of the superiors of these field officers, one by one. And when they have signed – most of them also demanding bribe – the documents are taken to the Releasing Officer. The releasing officer wields enormous powers, especially because he is last in the line. A “no” from him literally nullifies all payments since arrival of a container. So he makes his money by claiming that the imported goods have been undervalued, and subsequently quoting a fresh, usually-unreasonable figure. He then tells the importer to the requisite percentage of the new fee to the government or pay him a lesser fraction, if the goods must be released. Like all other importers, Samson’s uncle fell victim too. “We bought this machine for $25,000. But Customs already valued it at $54,000, meaning we paid a duty of $2,700 instead of $1,250,” Samson recalls, his face decorated with anger. Despite all of Samson’s protestations, the releasing officer insisted that 5% of $80,000 had to be paid to the government. And although this calculation itself amounted to $4,000 (N800,000 at the rate of $1 to N200), the officer claimed that by his own calculation, the importer had to pay a whopping N1.5 million to the government. It soon emerged that the Releasing Officer was far from interested in generating revenue for the government. “He told us we had paid N600,000 out of N1.5million, leaving a deficit of N900,000. He promised to let us go if we paid him one-third of that amount, that is N300,000. Eventually, the Releasing Officer let them go after collecting – wait for it – a paltry N50,000. In most establishments, gate keepers are some of the least respected staff, as they are not considered anywhere close to the power brokers. Well, at the Apapa ports, gate keepers are so powerful. And this is why. The various acts of corruption by officials of Customs and other agencies are all devised to capitalise on the importer’s determination – at times, desperation – to adhere with strict deadlines for movement of goods out of the ports, to avoid paying demurrage. As a result, the releasing officer usually gives his final word a few hours before that deadline. Now, due to the congestion outside the port gate, it typically takes a truck 12 hours to make its way into the port premises. So, if the men at the gate delay the entry of a truck after the agent has completed the clearing, this deadline can still be missed, which then means all previously-paid bribes have virtually come to nought. Dicey, isn’t it? Samson says he had to “tip the gate man for him to quickly sign my papers, because if he didn’t on time, I would have missed that deadline”. That is just one aspect of corruption at the gate. The second happens in front of the gate, where trucks are lined up and each one is in a hurry to be the first to enter. To manage this commotion, Customs engaged a team of soldiers, police, civil defence and navy to organise the truck drivers into a single line. “When I handed our papers to a truck driver, he told me, ‘Look, this paper expires tomorrow and you’re bringing it at 6pm today. If you really want to move your container, you have to pay us N20,000 for facilitation’. That fee is outside the N70,000 we were to pay to him for moving the container from Apapa to Lagos Island. As usual, Samson paid the bribe, and he watched as a soldier collected N5,000 and hopped into the truck to sit by the driver, directing him to head towards the gate. When the driver reached the points that were policed by the navy, police and civil defence officers, he paid them N5,000 each. In a matter of minutes, the N20,000 had vanished and the truck was right inside the port. Yet, this same truck would have been denied entry, despite holding papers clearly stating that the container had to be moved before noon the following day. WHO SAYS THE AGENTS ARE CLEAN, ANYWAY? It was very easy for all the agents to expose acts of corruption by Customs and other agencies. After noticing that they evaded their own financial dealings with importers, I contacted Ayodele Adebambo, a businessman who had little problem fixing an appointment for his Ikorodu office on Monday, December 21, to discuss his encounters with clearing agents and how they were corruptly enriching themselves at the expense of importers. One of such shady moves is in collusion with a banker, who provides the agent with fake documentation with which to swindle the importer. “First time I experienced it, I was inside a bank and an agent brought a bank draft to the counter. I noticed that the guy was fidgety, and that the banker returned a draft that was separate from the one he collected. So I asked questions,” Adebambo says. This is how it happens. Importers usually pay rent to use containers; it is N250,000 for 20-feet containers and N400,00 for 40-feet. If the container is returned to the port in good condition, after movement of goods from the port to destination, the rent is refunded to the importer through his agent. This return is never made in cash, but in bank draft. However, for every extra day the container stays on the site, the importer suffers daily deduction from that rent, because the expectation is that the container should be returned within 24 hours. “The agents know how to bargain for waivers even when the importer is due for deduction. So when a clearing agent collects, say, a bank draft of N400,000 in the name of the importer, he takes it to an agent who specialises in bank-draft fraud,” he explains further. “These ‘agents of draft’, as they are called, are connected with bankers. The draft agent enters the bank and locates his insider. They move the money to a particular account, and when the money reflects in that account, they do a fresh draft from the receiver’s account. By that time, the banker would have deducted a percentage of the N400,000, say N60,000. So the banker and draft agent both share the N60,000. “The clearing agent may then say he actually wants to present N200,000 to the importer, so another draft will be generated, and the clearing agent will pocket N140,000. It is this bank draft of N200,00 that they will now re-present to the importer. This fake insurance was forged for N300. Meanwhile, the original costs N18, 575. After successfully convincing Samson that I would make him my agent from January when I intended to begin importation, he gladly sent me a Proforma Invoice (PI), which is the first document an agent works with before the onset of shipping. With this PI, I visited Nnewi Building on Wednesday December 23. If these agents went as far as forging bank drafts, some other forms of forgery must be going on, surely. When I strolled into the building at a few minutes before 8am, I was one of the earliest arrivals. Three shops were open at the time: one manned by a fair, young lady donning a clingy top and a salaciously-short skirt; the second by another fair occupant, this time a man, elderly, slow-speaking and modest in appearance; and one more by a young man whom I didn’t see but whose voice I only heard as he conversed loudly with a “client” of his on the phone. I decided my destination in split seconds. I didn’t need the distraction of a showy lady, and I gave a thumbs down to the young man’s ebullience. I was interested in the experience of “Andy”, as he would later introduce himself – or “Pa Andy” – as I continued drumming to myself. Pa Andy’s office, where insurance certificates are issued within five minutes! “What do you want, my son?” the old man asks. I waited outside while Pa Andy recoiled in. He reappeared after some 10 minutes and handed a paper to me – a duly stamped and signed ‘original’ marine certificate from Alliance and General Insurance Company Limited, which indicated that I had paid N18,575.70! Meanwhile, I had only paid Pa Andy 1.61% of that figure! In one final push for a live experience of all I had heard from clearing agents, importers and security agents over the last eight days, I arrived Apapa port at about 9am on Thursday December 24, with the intention of forcing my way to the inspection ground. It was the last gentleman’s agreement I had with Samson before I could officially designate him my clearing agent from January 2016: I needed to experience the payment of bribes to officials at the inspection centre so that when he finally became my agent and he had to demand such payments from me, I wouldn’t hastily conclude that he was trying to con me. Therefore, I arrived the port gate dressed like a clearing agent, spotting a blue Ralph Lauren shirt and a pair of blue jeans on a pair of black snickers. How wrong was I think to think I was going to stroll in as I did exactly one week before! “Yes, where is your port pass?” one of the three uniformed men manning the gate queries me. Once the first soldier launched that attack, the NPA and police officers with him followed suit. “Oga, tok nah. I say wia ur port pass?” one of the other two screams at me. “Errrmm… I don’t have,” I stammer. I hand him a N500 note, and he passes me in. Samson had already mentioned me to his boss as a potential customer who needed to go in with him, so at the mention of Samson’s boss – a popular figure among the officers – I was cleared to enter. For the next two hours, I would pass time beside one of the food vendors close to ‘Customs Office’, in anticipation of the examination of a container Samson was clearing. Samson had told me it would hold at 11am, but 11am became 12noon, noon became 1pm, and 1pm extended to 2pm. So long the inspection ground was the place where the actual sharing of money to seven recognised government agencies took place, no wait could ever be too long. I was just beginning to wonder if I had been scammed when Samson appeared out of the blue to fetch me, and we both sprang into a waiting bus that conveyed a total of 18 clearing agents to the inspection ground. As I soon found out, the bus was one of a few that worked in shuttles, fetching agents from the Customs Office to and from the inspection ground. Security here was tighter than I anticipated. A harmless-looking civil defence officer manned the gate, fussily checking the agents’ ID cards and port passes to be sure that only authorised people entered. After renting a reflective vest (worn by all agents) for N100 from a nearby seller, I advanced towards the gate with container papers handed over to me by Samson, but I was turned back. Two bellicose men who carried themselves like the officer’s superiors stepped in to find out what the matter was; and when they found out I had no port pass, they drove me away. I pulled the N500 trick that worked with the soldier, but it failed. When I stepped it up to N5,000 and they still didn’t budge, I knew I had reached my wits end. But I reminded myself that my job was still unfinished: If I can’t enter, I must find out the real reason why I can’t! Is it to protect the goods or to protect their pockets? I pulled out my phone, plugged my headset and began listening to and loudly humming the lyrics of Carlos Santana/Musiq’s Nothing At All. I turned off the volume but continued humming and whistling to feign the impression that I was dead to the noise around me. It worked! By its own admission, NCS has two major functions: the “core” and “others”. The core functions, which are just two, are “collection of revenue i.e. import and excise duties and accounting for same”, and “prevention and suppression of smuggling”. But has the service truly been collecting “revenues”? Certainly not. It has been more of “bribe” collection than “revenue” collection. “Accounting” for revenue collection is also out of question. 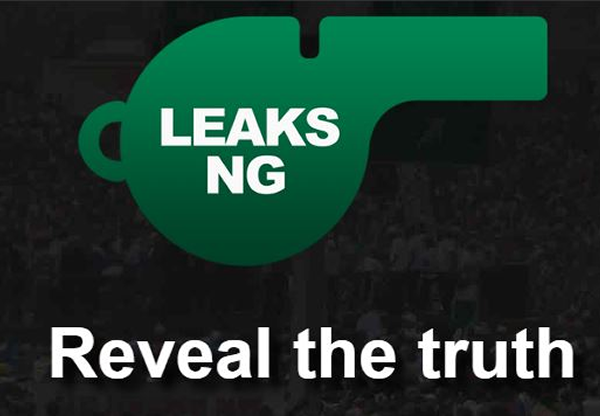 Although, over the last few years, the service has regularly declared a figure in the realm of N1trillion as annual revenue generation, there are no documents in public domain by which the service can be held to account. That may soon change, though, since President Muhammadu Buhari recently ordered the probe of all revenue-generating agencies, including Customs, from 2012 to 2015. Has Customs been preventing and suppressing smuggling? Surely not to the extent that it can, because when inspection officers only “look” at a container, collect N1,000 and move on to the next container, there can’t be watertight blockade against the smuggling of illicit goods or even arms into the country. Shortly after leaving office as comptroller-general of Customs in August 2015, Dikko Abdullahi boasted that the service, which was generating a monthly revenue of N29billion before his assumption of office, was realising “between N90billion and N100billion on a monthly basis” by his departure. Hats off to Abdullahi for the upgrade, but far from impressive – because, at the very least, Abdullahi’s Customs should have been declaring nothing short of N500billion to N1trillion monthly, seeing how Customs officers deprived the government of N1million in exchange for a bribe of N300,000, or N900,000 for a measly N50,000 bribe. As revealed by the experiences narrated in this report, the business of importation and clearing, as it currently runs, is a huge turnoff for any serious or incorruptible businessman. There is little doubt that Hameed Ali, a retired colonel, is desperate to clean up the mess that is the NCS. So “incorruptible” is Ali that Buhari nearly named him chairman of Nigeria’s anti-corruption agency, the Economic and Financial Crimes Commission (EFCC) – until he had a last-minute about-face – instead appointing the Kaduna state former military governor as CG of Customs. It must be said that it hasn’t been all talk. Within two months of his reign, all five deputy comptrollers-general of the service tendered their resignation, to herald his restructuring plan. This was soon followed by the “immediate retirement” of 40 senior officers. With the same period, he cancelled the practice of permanent posting of officers to unit commands and departments, saying anyone who had spent up to three years in a unit should expect posting. Then he followed this up by promising to meet the president to discuss improved remuneration for Customs personnel. Clearly, Ali has the will that was lacking (or maybe not evident) in previous regimes. But my experience with this undercover investigation has shown that Ali’s strategies have so far omitted the factor most crucial to sanitising the agency: elimination of human contact with importers/agents. And the best way to achieve this was long prescribed by the president under whose watch corruption perhaps flourished most in the country: Goodluck Jonathan. Ali must never mind that Jonathan didn’t practise what he preached; he must retrieve the message and forget the messenger. Without a technological revolution, Ali’s will to rid Customs of corruption will be futile. The releasing officer who demanded for N300,000 wouldn’t do it if the applicant submitted his endorsed documents online, and the approval process was entirely electronic, with superior officers having online access to his dealings. The representatives of seven agencies who collected N1,000,000 per ‘looked’ container would have been handicapped if all containers were screened by scanning devices rather than by physical examination. Of course, NCS has a website with which it interfaces with importers; but bar the filling of the ‘Form M’ and a few other pre-shipping procedures, the bulk of the work, particularly after arrival of goods, takes place physically. And this wholesale technological migration does not have to be accompanied by loss of jobs, as people only need to be made to do online, the same tasks they did offline. In the end, fighting corruption in the NCS is not exactly about sacking the you-will-survive-I-will-survive officer or the N500-bribe-taking soldier, or the your-machine-is-undervalued bribe-seeking releasing officer. It is purely about enthroning a custom of institutional probity, about instituting a corruption-intolerant SYSTEM rather sticking with the medicine-after-death approach of sacking corrupt officers. This is a great article,i hope the authorities in our public offices will see this and take swift action,but the swift action is not the only thing that worries me its the change of government and continuity what can we put in place for the overhaul new system to remain in place for good,so that a new government will not come revert to same old corrupt system. What a revelation,only the Almighty God can help us. corruption everywhere, smiling and going home to sleep comfortable and the man of integrity dies of hunger, starvation, and total neglect. what a country. excellent article but you should not have exposed the journalist who did the undercover work,that leaves him wide open for a sucker punch as James hardley chase put it,the men who went to capture and kill osama bin laden,,,please do you no there names? Navy seal Robert O Neill killed Osama bin laden in his book. Just to deconstruct your assertion. Please do this kind of investigation on NIS especially the passport offices. I needed to do reissuance of the e-passport recently and after paying online and took the printouts to the Abeokuta office, an officer there made us to pay another N10,000 which he referred to as processing fee. When I asked for the legitimacy of another payment having paid online, he said the online payment have to be confirm in a way by them and we would have to pay for that, we also have to pay for a file that will be prepared and also for guarantor. There is something terrible going on in there. This is a brilliant piece. Got me hooked from beginning to end. Makes me proud as a journalist. Good work TheCable. This is a well detailed investigative journalism at its best not a copy and paste type. Am an importer and you have detailed what I have experienced several times. Big gbosa to the cable for this is the greatest piece of investigative journalism ever written i ever read. Pls extend to other revenue generating govt agencies. Corruption must die in Nigeria. I recommend you for a journalist award. Thanks for this investigative reporting. Your report proves that corruption has eaten into everyday fabric of Nigeria. How can Hameed Ali, the newly appointed Director of Customs get a copy of this report ? The bottom line is that there is a relationship between port corruption and the price of goods in Nigeria. Business people price their goods based on total cost, including the “cost of corruption”. After all said and done, the poor pays the ultimate price. GMB, please do something about this mess at the port. What a great article. The corruption in all our institutions in Nigeria is so deeply rooted it will take years of consistent digging to uproot. Hope the people in the right places read this piece and take action. When you see beutiful and expensive cars, mansions and diginity life style in Nigeria and elsewhere, Do you imagine them coming from this migre salaries paid to workers? if is everywhere including the presidency such posting are also bought and must be utilised by those who bought or when they retire, Government will pay them peanuts, and they will be ashamed. Government should provide enough for retirement better housing, health care, Transport conditions,bANK facilitys. Those who choosed against curruption are real having hard times. If all workers are taken proper care off there will be no need for corrupt practices. Our Migerian mentality about money is poor orientation. create a welfare state and the greed for money will die itself. If corruption attempts cure without substitute, the cost leaving increases. a two way thing. The other to a few and the other to majority. good reportand that how it should be. This is such a Brilliant piece! 1. that the president get to read, appraise and ACT on your findings. 3. that the president RISK everything to commission and support these above-mentioned, for the turn-around of our Nigerian Experience. Once again sir, Good Work! Pretty work,but we have a long way to go.to get this done,we have to inject new blood into the systems ,and send out the corrupt one. This is the Cable teaching others what journalism is about. Anyone who has had interaction with the port can confirm these. The recommendations are also apt. The only way to clean the port is to take away discretion from operators and increase transparency. Sacking people will not change anything. Kudos for the insightful investigations and suggestions made. Compared to other government agencies in the port, NCS has since 1996 adopted use of technology and 2009 till date witnessed intense application on all processes but their greed and covetousness prevented ICT full deployment that will prevent physical contact in all ramifications of the custom clearance processes. Today, NCS combine electronic and manual processes particularly for cargo valuation assessment, examination, release and gate exit, the main areas of corruption in the system. It’s a shame today that scanning machine that had recorded up to 30% examination with Destination Inspection Agents as at 2013 is zero at end of 2015. The question is how many non compliance trade issues have customs corrected, prosecuted or prevented with all intrusive physical control? The engine room of corruption in the port. I suggest you conduct further investigation on the failure of NPA as the landlord in the port economy. Nigeria economy is bleeding heavily through the port by way of inappropriate trade policy, poor infrastructures (power, security, roads), access difficulties, poor port layout, uncontrolled access, multiple government agencies and lack of professionalism by Customs agents. Very insightful an award-winning piece. Proud of the writer for a job well done. Excellent work! I pray and hope that authorities concerned will read this piece and take necessary action. This is a wonderful piece. May Allah guides us. Investigative journalism. wow. well done editor. Couldn’t stop reading until I got to the end. Great work. We must level the playing field. We must curtail corruption and corrupt practices. Together we must rid the nation of this cancer within each and every one of us. This is what, we the valued citizens of the Great Nigeria has been expecting from our journalism, exposed the corrupts officials and those that makes life harder for the innocent citizens that the aim and intention is to move Nigeria to a greater heights, please do not make this the end of your findings and research but serve this to all the necessaries officers of the government for a change to take place. Thank you very much for a job done in a proper way. This really a wanderful piece. Hope this piece will be publish a hard daily. Please publish this piece in a daily. Your comment..Good investigation. If Journalists would continue on the same lane, they would surely help in salvaging this country from corruption.. Well researched and written. Hamid Ali should heed the advises raised in the article. For corruption in the service to be got rid of, the remuneration of Custom Officers should be improved and strict measures must be taken to punish corrupt Officers in the service. Thank you so much. Let me know how l could support the work you are doing. Nice but all this is hear say. I wish the journalist experience the bride taking in customs & photo evidence, it take takes two to tango. The informant agent didnt give u an insight into how terminal operators facilitate illegal operaation, missing containers & facilitation of smuggling at the port. The investigator needs to go back 2 his informant. This is great insight into d corrupt practices going on in all our agencies, thanx so much for painstaking effort. Expecting more of this. Bravo! Thank God for gradual return of True journalism. Kindly see Okonjo Iweala’s report on Custom reformation to butter this esteemed report. Seized containers are donated to the high and mighty in Nigeria to buy goodwill for Custom CGs. Investigative journalism at its best. Thanks for this painstaking, thorough article. I hope that the new boss, Hameed Ali will introduce the use of technology as you recommended, not just to provide full-proof mechanism against the incessant bribe-taking but also to streamline the entire good-clearing process. The whole process is a nightmare for any person that wants to do business in Nigeria. Thanks for a great article. My dinner went cold reading this but I don’t mind a bit. What a wonderful and thought provocating piece. Just forward your findings to Ali, and be sure he will work with it. This is as enthralling as revealing. This is layer 3 reporting at its best. This is deep, thought-provoking and reminiscent of the James Hadley Chase series. This is investigative journalism at its zenith. With this expose; the CG has his job cut out for him by halve. This piece is an award winning piece anyday, anytime. I am extremely proud of you. Meanwhile, remember that the reward for hard work is more work. This is the kind of investigative journalism that will bring respect back to the 4th estate. I hope we get more of this kind of journalism that keeps the system on its toes. Kudos Cable team. Thank you very much for contributing to the fight against contribution.Please ensure that this investigative ŕeport gets to the customs boss and President Buhari for prompt action.If your findings are implemented, we can fund the 2016 budget effortlessly even with crude oil trading below $30.00 per barrel.Well done TheCable. Please do not rest on your oarse. Determined and great efforts from Fisayo. I hope you advance this investigation to the CG Hameed Ali and/ or Kemi Adeosun minister of finance and Femi Adesina, I bet it’ll be useful to the ongoing scheme of work and restructuring in the service. Once again great work and thank you. Wow, you nailed it. For a well wishing goverment, this is a great tool to curb the lickages. This is a masterpiece. Keep up the good work. I wonder if the EFCC, DSS and other sniffing agencies have as much tenacity and investigative skills as you. Good work and congratulations on your well deserved award.